In the past few weeks we have been working hard here at CTK HQ to get Over by Christmas ready for publication and at last we are almost there. It is due to go to the printers shortly and will be available in the next few weeks - we'll let you know here as soon as it is ready for sale. It is a stand-alone set of rules, so you won't also need to have Where the Poppies Grow (although of course we hope that you do!) 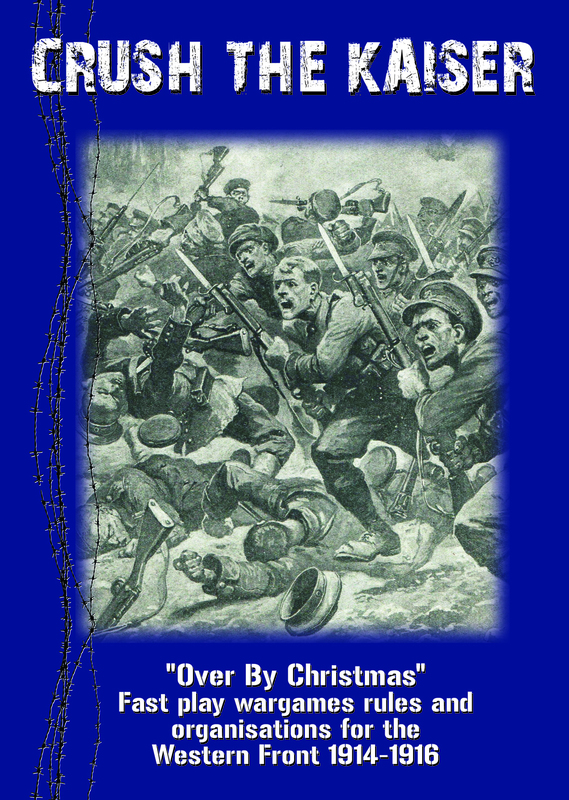 and covers the War on the Western Front from August 1914 to early 1916. The new rules include things such as using mounted cavalry and horse artillery in fast moving open warfare, with new special rules for cavalry charges and period weapons such as trench catapults and improvised mortars and grenades. Over by Christmas includes full organisations for British and Empire, French, Belgian and German Armies and has special rules for each, reflecting for example the British rapid fire of 1914 regular infantry units and the French "attaque a l'outrance". I am looking forward to these! Any chance we'll see a supplement for the Eastern Front 1914-1916?